Catalog Page 23. Custom 8", 12" and 18" Leslie Bears. Brown bears and white bears for sale. 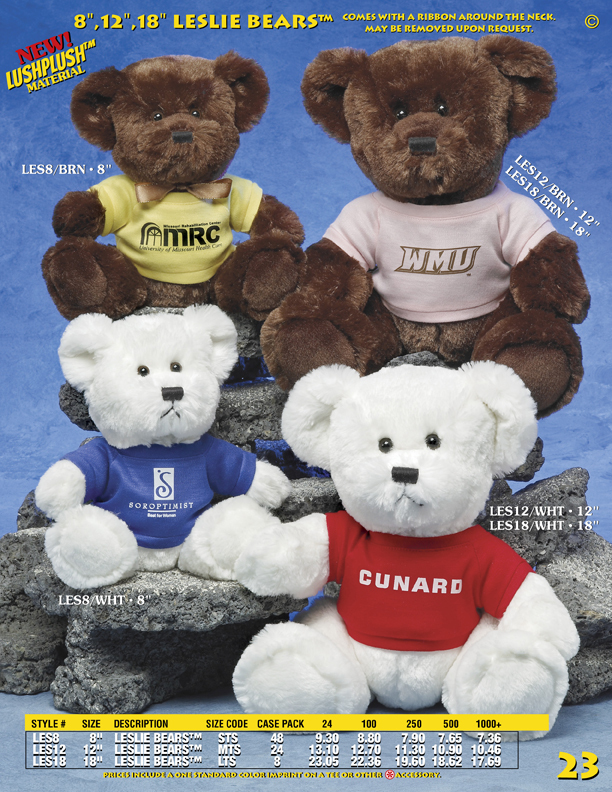 Order 8", 12" or 18" Leslie Bears with personalized t-shirts featuring your logo or slogan. These big bears are for sale with the printed t-shirt included. The catalog price includes a one-color imprint. The set-up charge is $25 for a red, white, black or blue imprint.